Dreaming of a white Christmas? Snowfall in Northern Finland arrives from around mid-November and stays until May. The inland region’s first snowfall can arrive mid-December until late March and April. The beautiful white snow-topped landscapes makes for a picture-perfect fairytale Christmas. 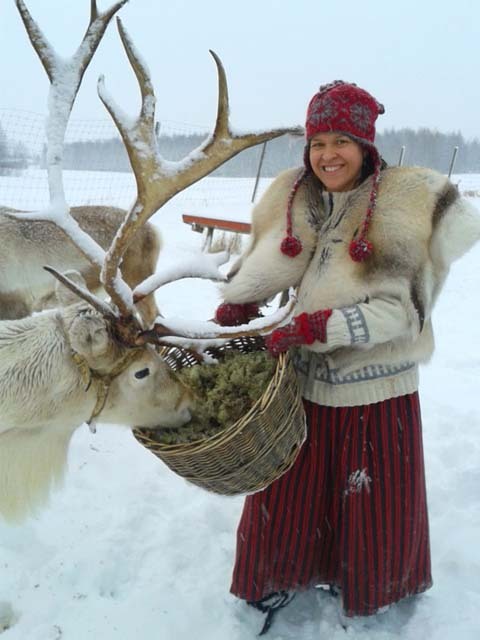 Traditionally in Finland Christmas ‘Joule’ is celebrated on the 24th December. This being the most important holiday of the year, months of planning and preparation beforehand go into every detail to create a special celebration for families and friends. Everyone (!) knows that Santa Claus lives in Finland rather than at the North Pole! Photo: Juho Kuva Visit Finland. There will be a Christmas tree in every home by Christmas Eve topped with a star and covered with sweets, it became tradition to bring a tree into your home in the late 1820’s, when Helsinki’s dignitary Baron Klinckowstöm placed eight of them in his reception rooms. Christmas Eve starts with a bowl of ‘Riisipuuro’ – rice porridge topped with cinnamon and sugar. An almond is hidden in the pot, whoever finds the almond in their bowl gets to make a wish. Gingerbread cookies – ‘Piparkaut’ -and ‘glöge’, Finnish mulled wine, are enjoyed throughout the day, until all the family gather for a big traditional feast of ham, escalloped potatoes, salmon, and sometimes turkey before Father Christmas arrives. 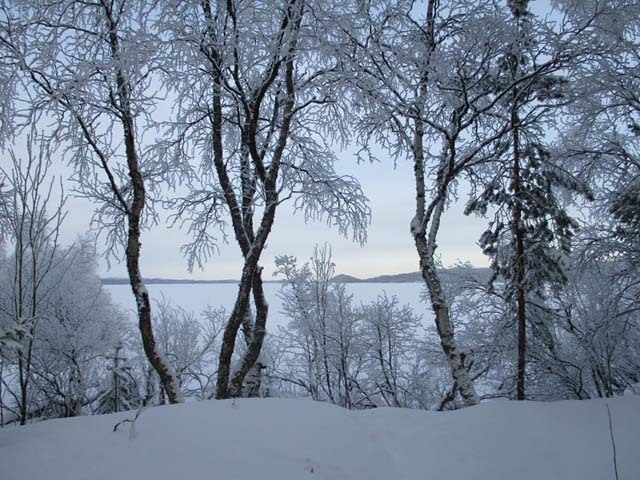 Much of Finland lies under a blanket of snow in wintertime. Photo: Niki Bates Nature Travels. 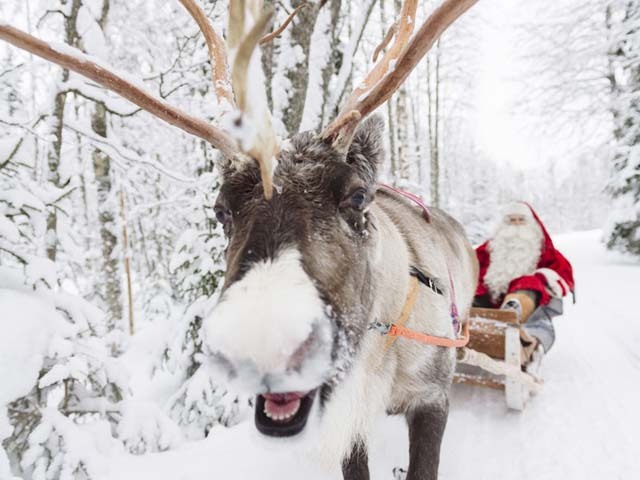 Finland is of course where Father Christmas – ‘Joulupukki’ – lives, and we all know you will find him north of the Arctic Circle in Rovaniemi, Lapland. Joulupukki literally means ‘Christmas goat’ or ‘Yule Goat’ – he would wear warm red robes and in some parts of Finland it is the custom for him to return and eat all the leftover Christmas food and put presents under the tree. Present from Joulupukki are enjoyed in the evening, bathing in a Christmas sauna. For many it is customary to visit Christmas Mass. Christmas Day is a quiet day for relaxing and reading books that Joulupukki may have bought. Christmas wouldn’t be Christmas without reindeer! Photo: Avril Corbett. For the Finnish during the festive season, songs will be sung, food will be enjoyed, it’s a time for relaxing with friends and family and for Finland it’s all about creating a ‘Hyvää joulua’ – a very Merry Christmas! Hyvää joulua from the Nature Travels team! If you would like to spend Christmas in Finland, our self-catering cabins in Päijänne Tavastia can be ideal!